Have the big titles of Winter 2019 (Mob Psycho 100 II, The Promised Neverland, The Return of the Shield Hero) lived up to all the hype and the expectations? Have there been some more modest TV series that have kept our writers at Anime UK News coming back for more, week after week? As the final episodes roll out, some of the team have taken to their keyboards to share their thoughts on the titles airing over the last three months. Do you agree with them? Have they missed out a title that needs recommending? Let us know what you think! 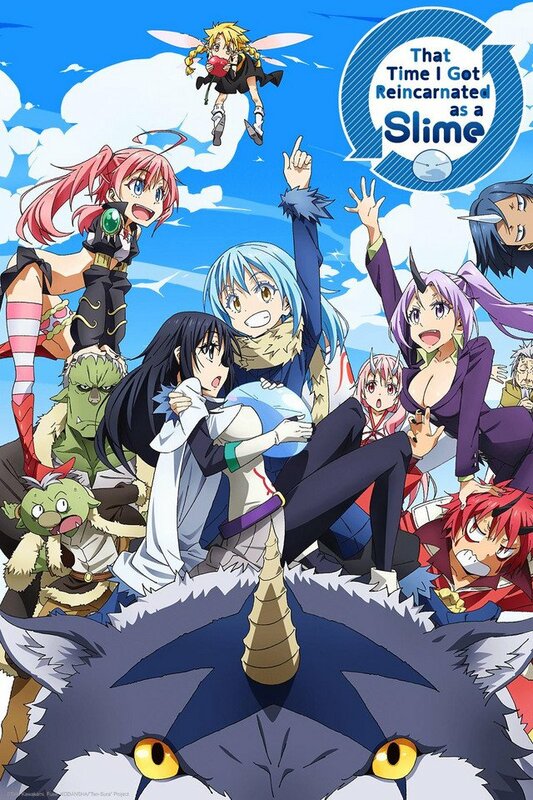 First up we have That Time I Got Reincarnated as a Slime which continued running from the Autumn 2018 season. After 25 episodes it’s really hard to say goodbye to a cast of characters I’ve grown to love so much, but thankfully there’s a Season 2 on the way next year! The second half of That Time I Got Reincarnated as a Slime changed things up somewhat from the first. Rimuru and his group get caught up in all sorts of things! From battling against an Orc General, to coming face-to-face with the powerful demon lord Millim, a lot happens and it makes for an exciting watch. In fact, Millim quickly stole the whole show for me upon her introduction. She’s the kind of hyperactive and charming member of the group that the show was missing and her inclusion had me eagerly awaiting the next episode to see more of her and Rimuru’s adventures. It wasn’t all great, sadly, as the final arc before the series ended was a much slower affair with Rimuru meeting the kids Shizu had entrusted to him. In order to look after them, Rimuru briefly leaves his town behind and thus most of the cast we’ve come to love. It was nice to tie up loose ends, but it wasn’t the season ending arc I had in mind. This feeling was only amplified when Episode 25 ended up being a recap episode. Knowing there is more of the show coming in the future does help though, so instead of bitter feelings I’ve been able to look past this misstep toward the end. I’m sure when Season 2 rolls around, I’ll be just as infatuated with the series as I have been these last six months. If nothing else I can’t wait to see more of Millim! My second pick for the season is another that carried over from Autumn, Sword Art Online. I must admit I have a very love-hate relationship with Sword Art Online as a franchise. Sometimes there is endless excitement bubbling up within me for it and other times I’m dropping the light novels for months on end. This season of the anime overall has been hit and miss for me too, but now that it’s finished until October, I realise I’m going to miss it a lot. 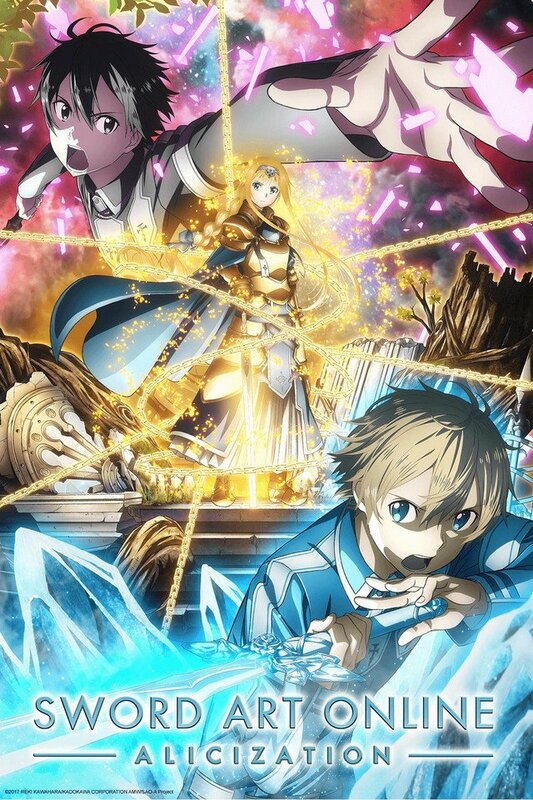 The second half of Sword Art Online: Allicization saw Kirito and best friend Eugeo climb the Cathedral, in a bid to find childhood friend Alice and restore her memories as well as bringing down the mighty ‘administrator’ who rules over the Underworld. It’s an arc filled to the brim with epic battles, not just for Kirito but Eugeo too. The animation (handled by A-1 Pictures) is, frankly, amazing. The fight scenes move fluidly and the camera angle of these sequences is captivating. I’d go as far as to say Sword Art Online has some of the best battles I have seen this season. This is Sword Art Online at its best both visually and emotionally. It’s still dumb at times and I still want to tell Kirito to stop being a dork, but having watched these 24 episodes I realise that I’m really attached to Sword Art Online. For all the stupid things it does, the good outweighs the bad. Maybe having such feelings towards the series was a sign of how much I loved it from the start. Ultimately I’m excited to see where the story goes next – especially given the horrible cliffhanger at the end of this season! 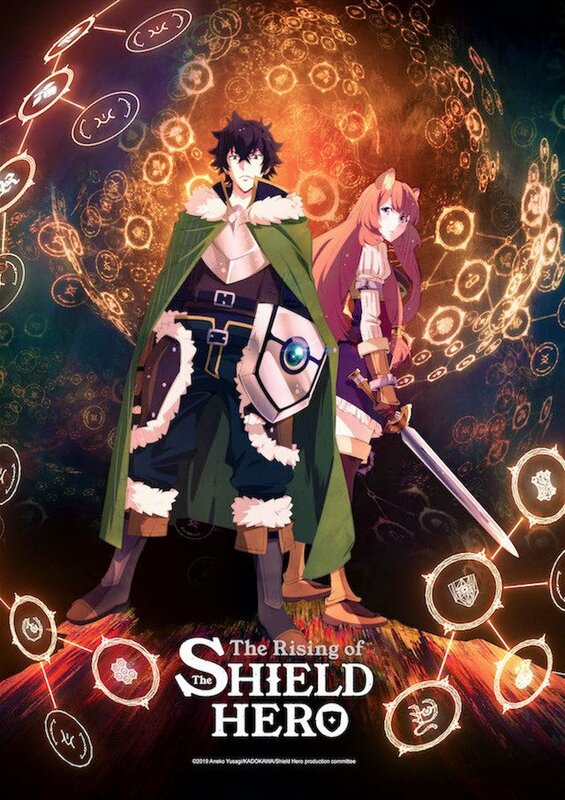 Before I close out my section I’d also like to give a quick mention to The Rising of the Shield Hero. At the start of the season I wrote a feature piece on why I didn’t think it was as bad as people were making out and that’s something I hold firm on. As the show continued, it started moving away from the dark view of the world Naofumi held and is instead more focused on him becoming a true hero. With a new party member by his side in the form of a legendary bird, Filo, Naofumi’s family is growing and he now has a lot more to protect. The Rising of the Shield Hero is set to continue into the Spring Season, so I’m sure I’ll be talking about it more when it comes to an end. I think the majority of the controversy around it has died down now and I’ve heard tell that the later arcs of the story are really good, so I’m looking forward to watching more of the anime. If nothing else, I’ve gotten attached to Raphtalia now and want to see her happy. Boogiepop is a name that’s lived on the fringes of anime fandom for decades. For some, it’s the progenitor of the Japanese light novel; for me, it recalls the paranoia of the turn of the millenium as the internet really took hold and everyone was half expecting the “Millenium Bug” to end the world. 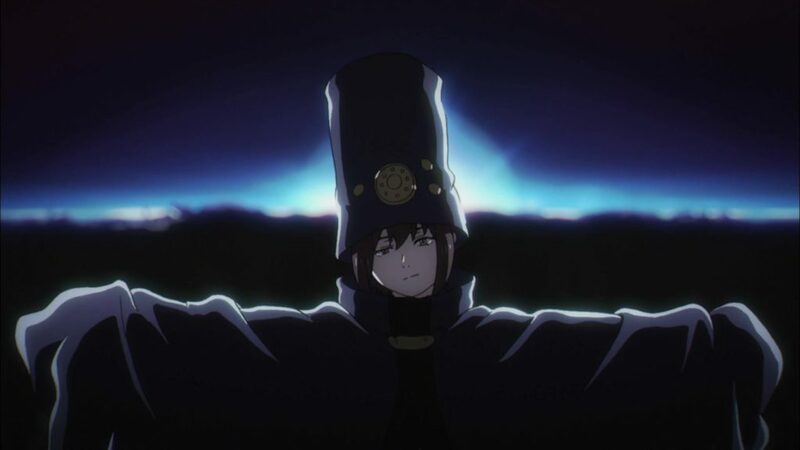 If you’ve seen Boogiepop Phantom, you’ll at least be prepared for what’s to come in Boogiepop and Others. It’s aggressively non-linear and demands your full attention, lest you be lost in its maze of seemingly random but suddenly interconnected events, where normal people are caught up in the collateral damage of strange, other-worldly creatures with names like “Manticore” and “Imaginator”. It’s a thoroughly weird science fiction anime that I’d recommend to anyone looking for a story that’s a bit different and more cerebral. Talking of progenitors, there’s none more influential than Osamu Tezuka. During this Winter Season, his Dororo manga received a new anime series and my gosh is it good. On the surface it’s a wandering samurai story with dashes of the supernatural, but such a simple description belies the painterly artistry and grim journey that’s unfolding. The story begins thusly: a Lord trades his newborn’s life in exchange for the prosperity of his country. Only his son survives, albeit in gruesome form, without limbs, skin, eyes, or any other human sense. 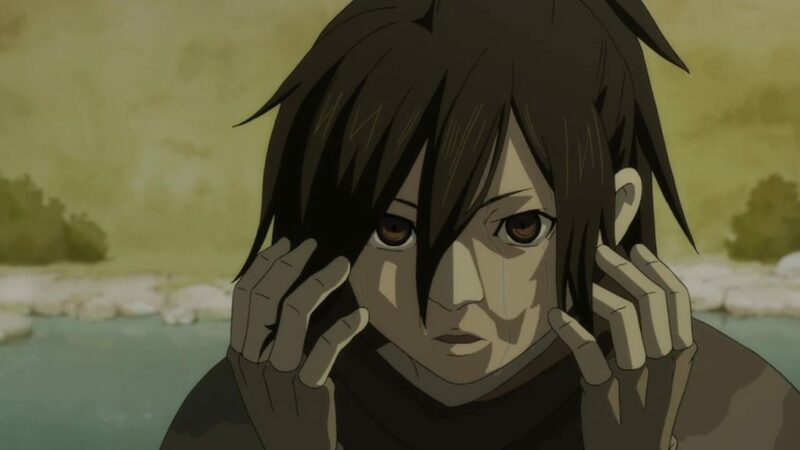 Propped up with prosthetics and able to sense the lives around him, Hyakkimaru has to kill the demons that his father sold him to so that he can reclaim his body, limb by limb, sense by sense. The animation in Dororo is especially good, and from the director of Rurouni Kenshin I’d expect no less. Dororo is an anime of the year contender. Looking back at this year’s Winter Season, it definitely had its highs and lows, delivering some shows that could be contenders for anime of the year and others that were either largely forgettable, such as Grimms Notes and Pastel Memories; or downright contenders for worst anime of the year, looking at Kemono Friends 2 and how they completely butchered it when compared to the original. 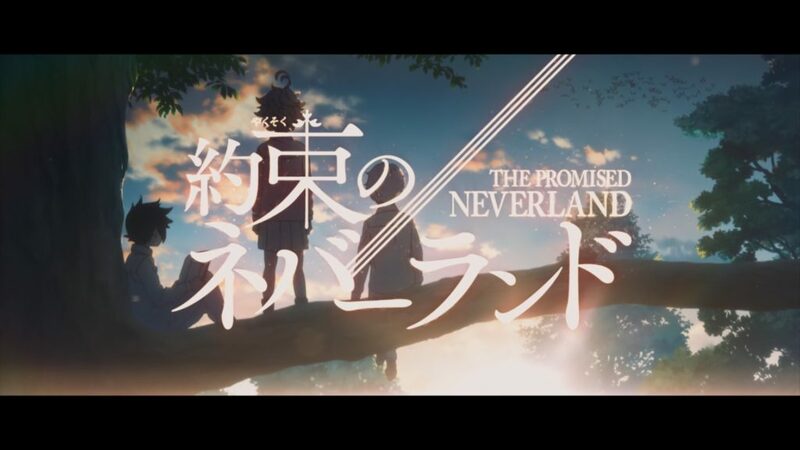 My clear favourite this season however, has been The Promised Neverland, with CloverWorks producing what is arguably the Kōenji-based studio’s best series since they were re-branded from a branch of A-1 Pictures. As Demelza mentioned, its narrative is extremely compelling, taking characters that you bond with quickly and putting them in a very high-stakes situation, where failure to escape from this orphanage means certain death. The cat-and-mouse games between the kids and Mother Isabella is something of the sort that we haven’t seen since Death Note’s infamous battle between Light and L over a decade ago and The Promised Neverland arguably does it in a much neater and more concise way that doesn’t suffer from its elder’s padding and feeling of “we should have ended it there but it’s selling well, so just continue”. The point at which this first season ends feels like a natural breakpoint, so much so that you could just watch this and not continue and feel very satisfied with it. And it proved to be a master of cliff-hangers, with each episode delivering a major new revelation that ensured I had to be watching the next episode as soon as it came out to find out what happens next. To go on would be spoiling it too much for those who haven’t seen it, but I do think this has been the best show of the season, and it may be the best of the year. When it comes to music shows, the first season of BanG Dream! was cute and fun, infused with plenty of drama, but it wasn’t a Love Live!-level break-out hit. With its second season, BanG Dream! cements itself on that same level, as it has been able to evolve and carry itself forward in a way that Love Live! really couldn’t, particularly when you look at Love Live! Sunshine! !, which was more of the same but with a different set of characters. While the first season was mainly about the girls of Poppin’ Party forming the band, this second season shows them growing in skill and popularity, while tying in some of the plot of the mobile game as several other major girl bands gather around the main cast, and we see the beginnings of an all-new rival in RAISE A SUILEN. 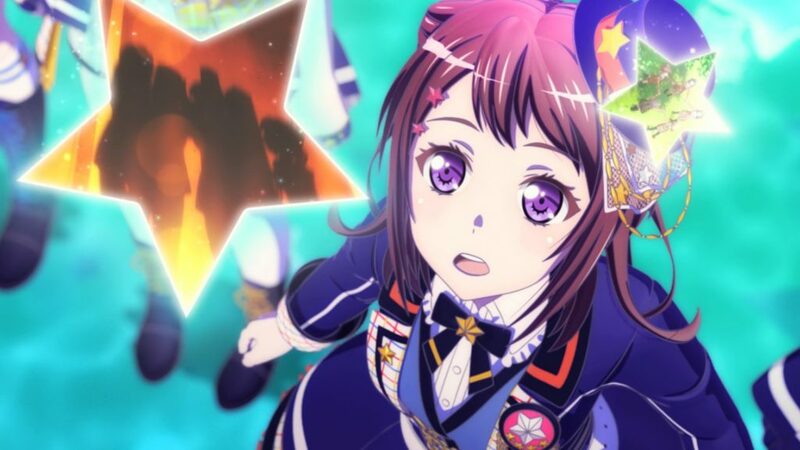 This latter development in particular has a major effect on Poppin’ Party, as lead guitarist Tae gets swiped into RAISE A SUILEN after meeting childhood friend Rei. With her skills as a guitarist coming to the fore, it raises the dilemma of whether Tae wants to take her guitar to a more professional level or stick with her friends in Poppin’ Party. With time running out and the band’s first self-sponsored show fast approaching, there’s a lot of emotional beats as both the band and Tae have to decide what’s the best route to take moving forward. There is, of course, just one answer; and the resolution was such a heart-warming one that the show became, I think, the only one this season that made me tear up due to its emotional weight. It’s also had a step-up with its music, with the show producing some really good tracks. The greater number of bands allows it to cover more musical styles, going from the more idol-oriented Pastel*Palettes and the gothic-infused Roselia, to the more electronic-infused music of RAISE A SUILEN. The latter two in particular have really caught my attention, causing me to go out and buy RAISE A SUILEN’s R·I·O·T as soon as I heard it in the anime because I liked it so much. In my book, it’s a certified banger. As I mentioned in the Winter 2019 Preview, the animation switch from the first season’s 2D to 3D CGI can take some getting used to but I actually think it works really well and it keeps everything consistent when they jump to the live performances. With a third season confirmed to air in Winter 2020, there’s plenty of time to catch up with BanG Dream! if you haven’t seen it yet, and I really recommend that you do as it has been one of the best music shows I’ve seen for a while. While there are a few other shows I really enjoyed this season, from Kaguya-sama: Love is War’s laugh-out-loud comedy to Real Girl Season 2’s heartfelt drama, I’m going off-beat for my final pick: The Magnificent Kotobuki. This seems to be a show that hasn’t had many people talking about it; but it’s certainly been something different. 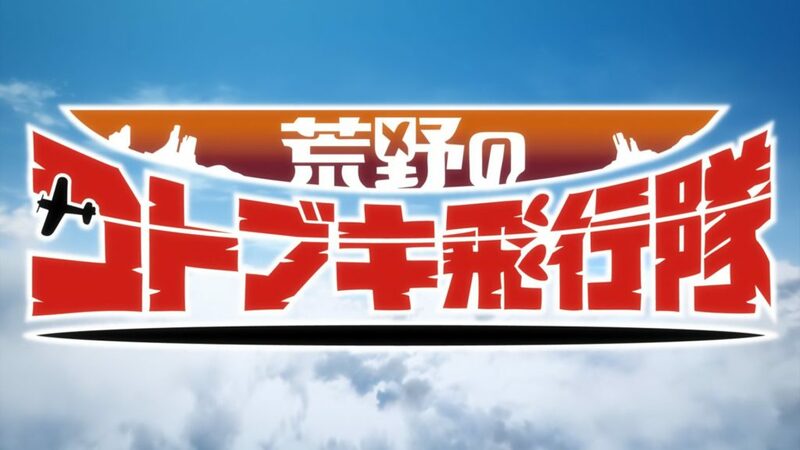 The show follows the adventures of the Kotobuki Squadron, a small group of pilots-for-hire. After being hired by Madam Loulou of the Oni Company to protect her giant zeppelin transport, the Hagoromo, the squadron becomes involved in increasingly more dangerous missions as they come up against different groups of sky pirates. 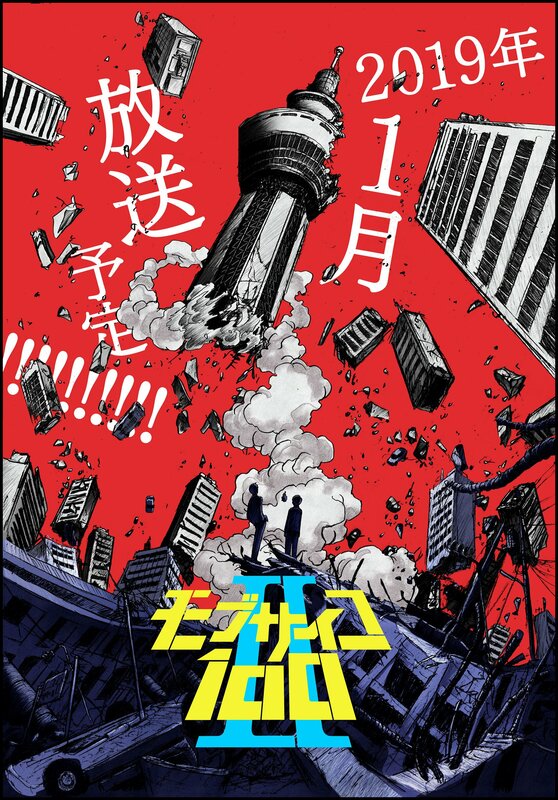 While the story itself is a little slow and becomes confusing towards the end as it mixes in the political machinations of the unscrupulous Isao and the supernatural holes in the sky that lead to another dimension, you really want to be watching this for the aerial dogfights. These are pretty spectacular to watch as the planes soar through the skies, trying to outmanoeuvre each other and get in the best position to shoot down the enemy. There are some hard-fought battles and while there’s a surprising lack of people dying, the Kotobuki Squadron don’t always win. It seems to have taken a lot of stylistic inspiration from Westerns, with sprawling deserts and narrow canyons being most of the environments that you will see. This is fine thematically and keeps it grounded in realism, but its colour palette of browns, blues and greys doesn’t really allow it to stand out. Instead of a visual piece it’s more of a technical one that will attract the eye of a very specific audience, who is more interested in either the show’s composition or the Western-styling. When thinking about it, I guess I would call it a ‘grandad’ show? I kind of imagine that if my own grandfather had been into anime, this is the sort of show that he would have liked, pairing that war movie dog-fighting with gritty, John Wayne Western-style themes and setting. If you’re willing to look at something different I’d definitely recommend it. I did not care for its story too much or its political-infused trappings; but for embracing the freedom of flying and seeing some cool aerial combat it certainly does the job. While it hasn’t been the busiest season in history, at least not for me anyway, there is one show that has stood out to me as nearly flawless, and that’s Mob Psycho 100 II. As I mentioned in the Winter Preview article, the series has a real knack for mixing genuinely funny comedy with truly heartfelt character moments, plus it has extremely fluid and clear animation. This has only proved to be more true as the series progressed, until the final four episodes moved the series into a more action-heavy pace and it excelled at that too (while still keeping the humour and character moments). Mob himself has proven to be the star of his own show, thank goodness, and has finally started to gain more self-confidence, slowly but surely. It’s been a genuinely nice thing to watch over the series; you end up getting a very protective feel for the character, the same way his mentor Reigen does, even though Reigen starts off just using Mob for his own gain, he soon realises what an arse he’s been and feels pride in the person Mob becomes as he starts to pull in friends around him. Of course there are times when Mob “goes 100%” (or even above!) and that leads to some of the best action animation you’ll see. There are some moments in the final few episodes that put serious Shonen series to shame, series that focus almost entirely on this sort of thing. That I think is the best praise I can come up with for the series; it takes on several different genres and just does them really well: comedy, drama, action, mixes of two or even all three, it just presents them as they come with a pleasing set of characters and great animation. It’s hard to fault any series that pulls that off! Am I the only viewer to feel sad as a series comes to a close? On the one hand, I’d always rather see a good show come to a properly satisfying end – but on the other hand, I always feel a reluctance to let go, wanting to prolong that ‘it’s not quite over yet’ feeling for as long as possible. And two titles have produced that feeling for me this Winter Season: My Roommate is a Cat and Run with the Wind. Others have come close: however The Promised Neverland is returning in 2020, so there’s no need to feel too bereft – and The Morose Mononokean II, while never quite achieving the heights I had hoped for, was still a compelling – and recommendable – watch for those who enjoy series about humans and yokai interracting. 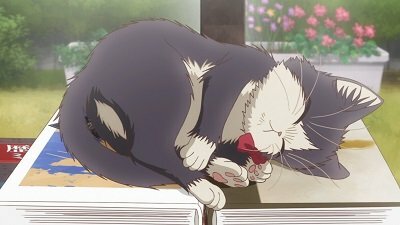 My Roommate is a Cat, while appearing to be a sweet story of a lonely young writer who’s adopted by a stray kitten (maybe it’s really the other way round, but that’s how the kitten sees it) has turned out to be capable of exploring some deep issues beneath its light-hearted slice-of-life veneer. And much of its charm – and accuracy for cat lovers everywhere – has come from its refusal (for the most part) to make Haru, the feline star of the show, unbelievably cute (although she has her moments). By dividing the narrative in the episodes between Subaru and Haru-chan’s points of view, we often get to see the same events from very different perspectives: the visit to the vet’s (traumatic for both of them! ); the importance of food to a stray kitten. Yet it’s also in its portrayal of Subaru, a successful young novelist who’s withdrawn into his own world after the tragic and recent death of his parents in a road accident. Subaru, supported by his childhood friend Hiroto and friendly editor Kawase, has been leading the life of a shut-in until little Haru appears – and it’s because of her needs that he’s forced to interact with his neighbours, the helpful young lady at the pet food shop, the vet… Gradually, Haru’s presence brings him out of the protective shell that his grief over the loss of his parents has made him retreat into and he begins to try new experiences – and even enjoy them. Believable characters, delightful comic moments, balancing out the darker moments, sympathetic voice acting and one of the best soundtracks I’ve heard this season, composed by Kotringo (In This Corner of the World). Run with the Wind (Production I.G) triumphantly completed its twenty-three episode-run as the Winter Season came to a close – and proved an utterly compelling watch. (Now I really need to watch it again!) 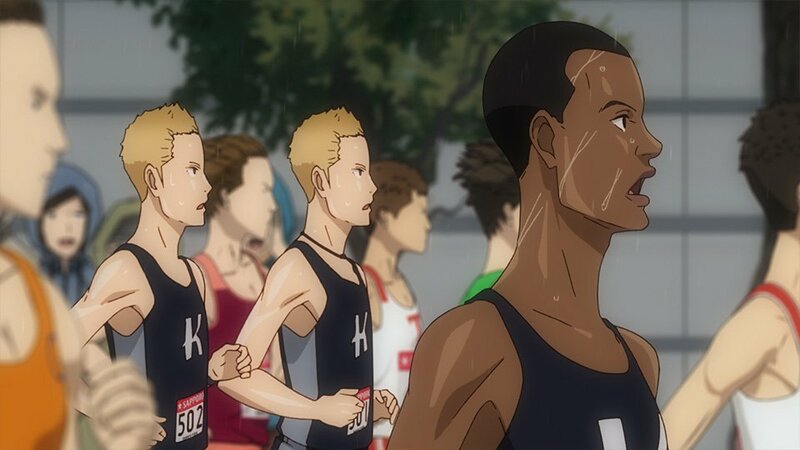 This tale of a somewhat ill-assorted group of Kansei University students sharing university lodgings that just happened to once house the track and field club, grabbed the viewer from the first moments: the night-time chance encounter between light-footed First Year Kakeru (so desperate for food that he steals from the local supermarket) and Fourth Year Haiji (who chases after him on his bicycle to offer him somewhere to lodge and plenty to eat). Long story short: Haiji has an ulterior motive. He’s putting together a team of ten runners to compete in the gruelling Hakone Ekiden Relay Race (200 km in winter through mountainous country) and he knows the instant he sees him that Kakeru is a born runner. As the episodes roll past, we get to know the other house/team members: from manga-obsessed and seriously unfit Prince, the identical twins Joji and Jota and exchange Tanzanian student Musa, to the older students like King (who is doing job interviews) and perpetual student engineer ‘Nico-chan’ (who needs to kick the nicotine addiction) – not to mention Nira, Haiji’s dog. Gradually, the local neighbourhood gets behind Haiji (especially the shops where they buy local produce) and there’s the formidable (although venerable) landlord who acts as their coach. But how can the young men ever hope to be selected to run against other university teams who have poured money and resources into training their best athletes? 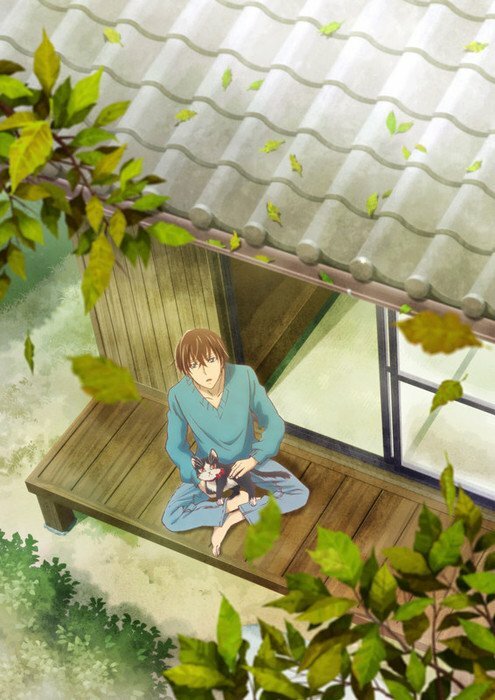 Is it possible to fulfil Haiji’s dream – and make it their own as well? Can Kakeru conquer his demons, stop scowling at the world and fulfil his undoubted potential? 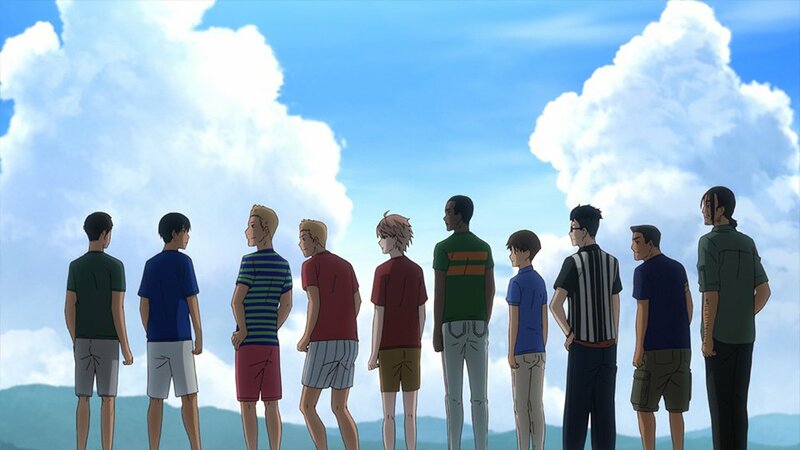 This series could so easily have been a lively, likable, well-made sports anime like others (Haikyu!!) from Production I.G and no one would have objected – but what makes it stand out from is, perhaps, the fact that we’re much more invested in the characters’ individual journeys than, ultimately whether they win or not. (Although, by the final episodes, it’s impossible not to be rooting for them.) The fact that Run with the Wind is based on a light novel by Miura Shion rather than manga may explain the greater depth of characterization. Inspiringly animated with some breathtaking landscapes and exhaustingly convincing running sequences, it’s a show to return to as one watch is just not enough to take in all the detail. Even the music by Yuki Hayashi (known for Haikyu!! and My Hero Academia) has its own unique quality, used to telling effect to underline key moments, otherwise keeping a minimal presence. Probably my anime of the year (except which year, because it began in 2018 and concluded in 2019?). Most of the recommended shows above are available on Crunchyroll (although several are also available on HIDIVE and dubbed on Funimation) Dororo is the only Amazon Prime title. A compilation of every anime available to stream legally for the UK & Ireland from the Summer 2018 anime season. Check out the latest Winter 2019 anime that are currently available to watch for the UK/IE right now! Introducing the Anime UK News Reader’s Choice Awards! We’re giving you the chance to crown the best anime and manga of 2017!